Product available by special order only. A Salmanazar (9 l, i.e. 12 bottles) for an unforgettable event. A refreshing pleasant wine to drink right now. It will accompany your nibbles when you're having drinks with friends. An intense light gold colour with remarkable clarity. The bubbles are fine and persistent and continuous in your glass. The nose reveals notes of fresh fruit. It is young and fruity on the palate with a fermentative touch. It is well-rounded and harmonious in the mouth with a classic sweetness and well-balanced finish. Pair this wine with : Young spring cabbages Traditional Italian pasta dishes Crisp vegetables Supplied in wooden case. 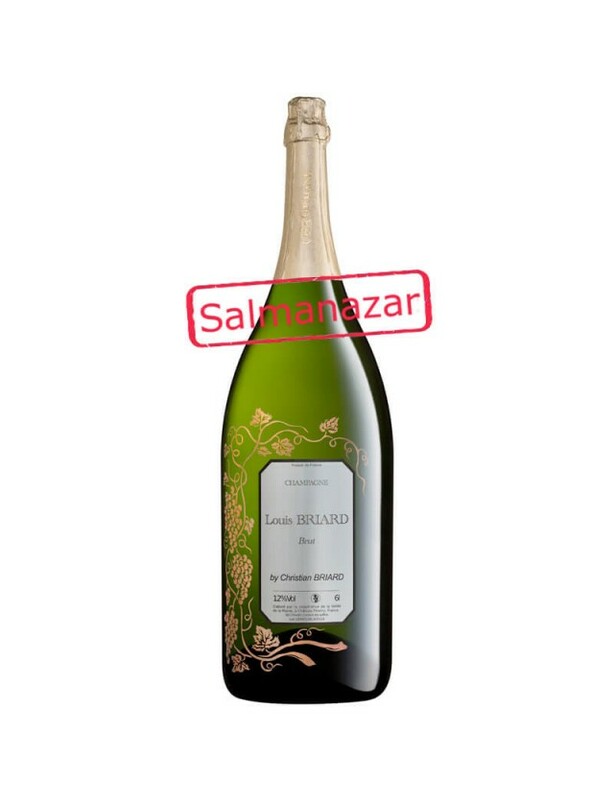 This Salmanazar can be bought by the single unit. Contact us!